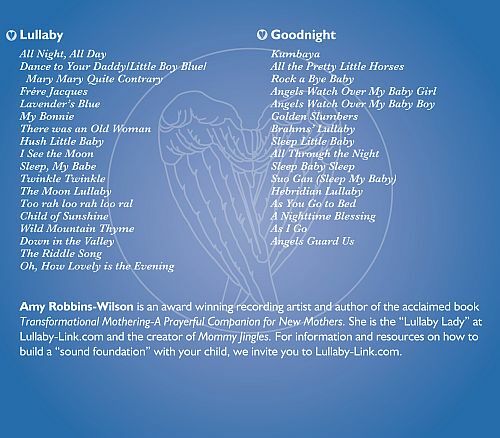 The CD Lullaby and Goodnight - 33 Lullabies for Babies is divided into 2 sections; "Lullaby" and "Goodnight"(surprise). The "Lullaby" section is comprised of baby music designed to signal your baby that the day is ending and the bedtime routine is starting. The "Goodnight" section is a selection of lullabies intended to waft a child softly off to dreamland.